When are library books due? They are usually due in two weeks. 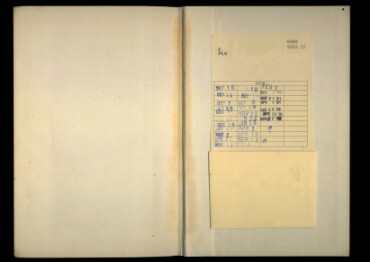 If you keep the books too long, you have to pay a fine. What is the librarian doing? She is checking out books. The people in line are waiting to check out library books. 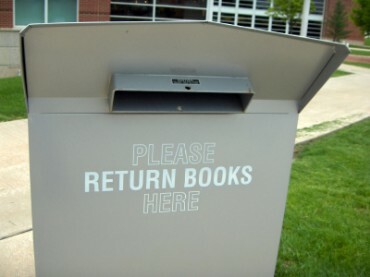 It is a return box for library books. People can drop their library books in this box. Copyrights to the pictures and photos on this EL Civics website belong to individual photographers. We have purchased the rights to use them. Do not copy the pictures/photos on this site. Permission is granted to copy any of the worksheets for classroom use. You may link to any page of this website. Contact Christina Niven, ESL teacher, at christina@elcivics.com. Please send corrections, comments, and requests for new lessons. Copyright © Christina Niven, 2007.